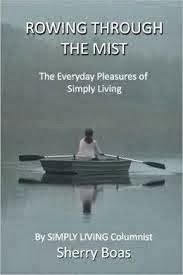 As a reader with a voracious appetite for the written word, I always find it a pleasure to discover new authors. I’m especially thrilled when I chance upon writers who have been hard at work for years, producing one novel after another. During the past 12 months, my literary fortune has been enriched by the discovery of several new-to-me novelists. 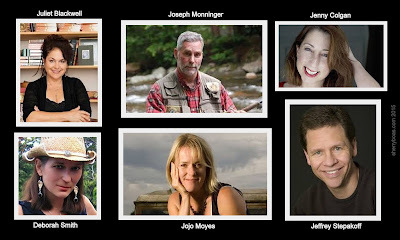 Jojo Moyes, Joseph Monninger, Jeffrey Stepakoff, Deborah Smith, and Juliet Blackwell are all contemporary writers with large bodies of work that, until this year, I didn’t know existed. How glad I am to have made their acquaintance through the pages of their books. 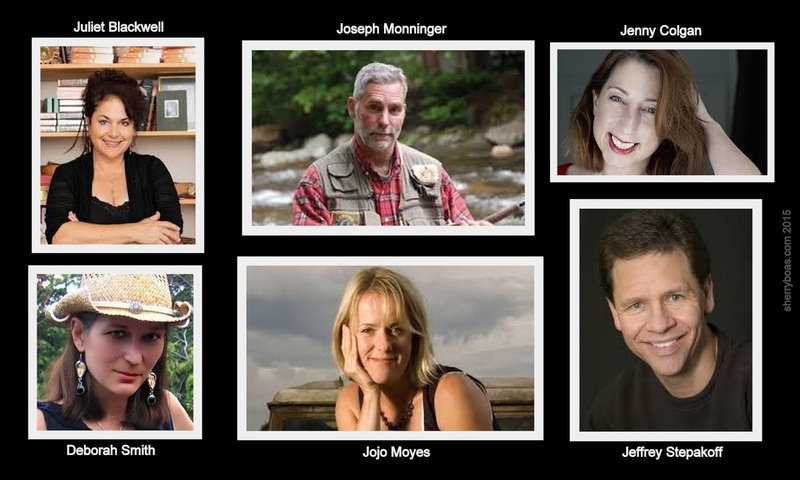 Moyes is a British author with 13 titles under her belt while New Hampshire resident Monninger has written 22 books including one memoir, two non-fiction titles, many young adult books and three wonderful novels for adults that I thoroughly enjoyed. Since January, I’ve read six more of Moyes’s novels and enjoyed every one. Because Moyes writes with a British accent, her stories include many phrases, terms and colloquialisms that were unfamiliar to me, but I liked that about her stories. 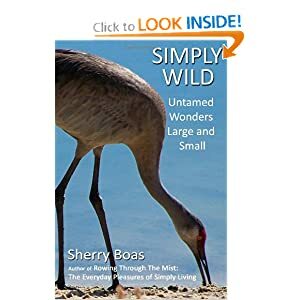 In addition to positive outcomes, relatable characters and captivating plots that kept me turning pages late into the night, I enjoyed learning new terminology and being transported through print into different cultures and ways of seeing the world. While Moyes writes from a British perspective, Monninger’s three adult fiction books come from a New Englander’s viewpoint. 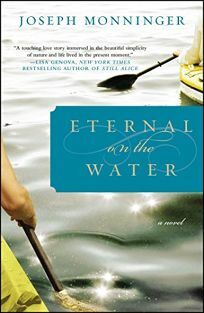 The first Monninger novel I read was the deeply touching Eternal on the Water (2010), which is set in Maine. From there I went on to read his two other fiction titles as well as two of his young adult books. Monninger, who lives in New Hampshire and teaches English at Plymouth College, infuses his novels with his deep passion for nature. His characters are kind, sensitive and attuned to their surroundings. As a former New Englander myself, the settings in Monninger’s stories were familiar. I could easily imagine canoeing down a river in Maine (Eternal on the Water), skating over a frozen river (The World as We Know It) or gazing out of a farmhouse window at the falling leaves (Margaret from Maine). Although North Carolinian Jeffrey Stepakoff is the author of four novels with over a million copies published in 20 languages, he is perhaps better known for his decades-long career in film and television as a screenwriter, producer and developer of television series, films and major motion pictures. Some of his notable work includes shows such as Dawson’s Creek and The Wonder Years and movies like Disney’s Brother Bear and Tarzan. 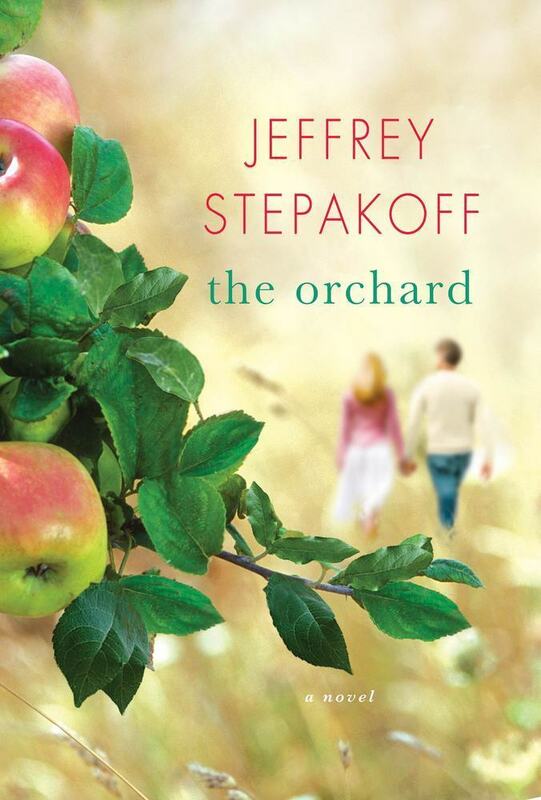 During the past year, I read three of Stepakoff’s four novels and found myself especially taken with his 2010 novel, The Orchard, a love story with an unexpected romance set in the north Georgia and Carolinas countryside. 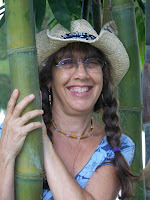 Like Stepakoff, author Deborah Smith also bases many of her stories in the Appalachian Mountains where she was raised and still lives. As the author of 35 novels in romance and women’s fiction, Smith calls her novels "big, romantic, southern family stories." I appreciate her portrayal of strong female characters overcoming obstacles and often defying societal conventions. 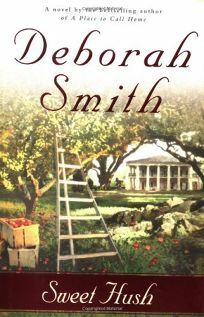 Of the three Smith novels I’ve read so far this year, my favorite was Sweet Hush, the story of a southern apple farm and the ‘bushel’ of trouble that suddenly surrounds it. Author Jenny Colgan, who has written 20 novels over the past 15 years, divides her time between homes in France and England. Both countries are reflected in her 2013 book, The Loveliest Chocolate Shop in Paris, which was the first of four novels I read last year by Colgan. In this book main character Anna Trent relocates from northern England to work in a small but famous chocolate shop in Paris. As Trent learns more about her new trade, I too found myself absorbing knowledge not only about the making of chocolate confections, but also about French life in present times as well as during the last century. Juliet Blackwell is the author of 22 books but so far, I’ve only read one - her 2014 novel The Paris Key, which I discovered last month. Like so many of the other wonderful stories I read this year, I couldn’t put it down. I found myself staying up late at night to read just a few more pages. Blackwell skillfully combines French history with architectural facts. She mixes in numerous French phrases – which I enjoyed asking my husband to interpret for me - and included fascinating facts about locksmiths and the importance of keys to unlocking the secrets of not only of rooms but of life itself. Any book that teaches me about subjects I previously knew nothing about while also serving up generous helpings of plots, different cultures and determined female characters is a book that warrants reading and sharing with others. As 2015 nears its end, I’m grateful for the talented writers whose printed words have taken me on so many imaginative adventures as well as the public libraries where I found most of this year’s reads. If you have favorite books from the past year, please share! Together we can begin 2016 with a reading list of our own.